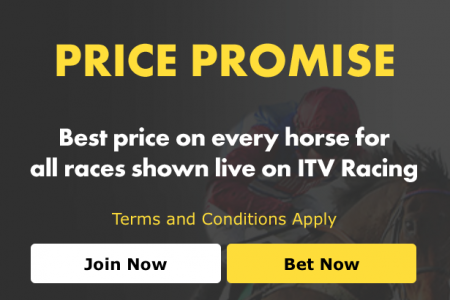 The Cheltenham festival begins with the Sky Bet Supreme Novices’ Hurdle, 13.30pm. It's run over the Champion Hurdle course and has a distance of two miles and about half a furlong. Of the last 15 runnings, 10 winners have come from first 4 in betting, with the previous 10 winners all having at least 2 hurdle runs. Does that rule out Melon? We’ll talk a bit more about the favourite further down the page. The last three winners have all come to the race with an official rating of 155 (Altior, Douvan and Vautour) I think we've been spoiled in previous years and a figure in the region of mid 140's may be enough this year. History suggests that we should concentrate on five and six-year-olds as they have won all bar six of the renewals of this event since 1972. As for the trainers, Willie Mullins and Nicky Henderson have dominated this race in the last 10 years. Mullins has had 4 winners, whilst Nicky Henderson has had 9 horses placed and 1 winner from 19 runners. Let’s take a look at some of the runners for the opening race of the festival. Melon is the current favourite for this race (11/4) and 1 of 4 runners for Willie Mullins, the others being Bunk Off Early, Crack Mome and Cilaos Emery. 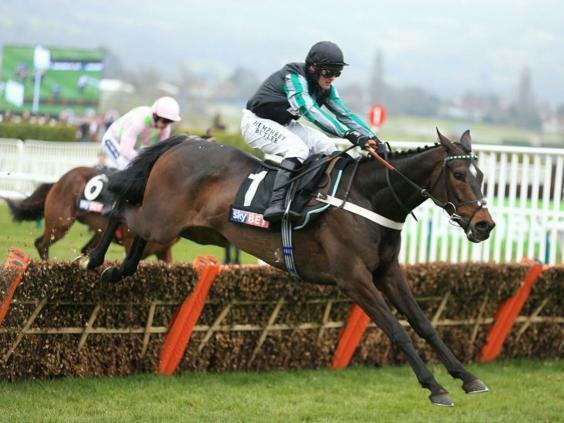 As previously stated, the previous 10 winners have all had at least 2 hurdle runs and despite just 1 run over hurdles, Willie Mullins has made it clear that Melon has plenty of jumping experience at home with a number of 'schooling hurdles' - private 'races' held amongst the yard's horses during the season. It’s been an easy enough decision for Ruby Walsh to pick Melon from the 4 available which we must take note of. If the BHA performance ratings of 153 for Melon are correct, then he’s 5lb clear of the rest of the field with further improvement expected. Whether that figure is right I'm not quite sure but we are about to find out. Backing Melon is a gamble, the form is nothing to shout home about but the voices coming out of Willie Mullins’ yard speak very very highly of this horse and favourite backers will be hoping their festival gets off to a flyer. Ballyandy will need to improve again if he’s to win the Supreme. After 3 disappointing runs this season the penny finally dropped at Newbury last month where he cantered to the last and quickened away nicely beating Movewiththetimes who has now been ruled out of this race due to a 'pulled muscle behind’. He has a good record at Cheltenham and there’s no doubt he will stay on strongly coming up the hill with a fast pace to aim at suiting Nigel Twiston Davies’ 5 year old, but I have my reservations with him lacking a bit of speed and fluency over hurdles. It may be worth noting that horses running here having placed in a handicap last time out are 0 from 21, that’s not to say Ballyandy can’t win but it doesn’t read too well for those who are into their stats. 9 of the last 10 winners won their last start before the Supreme Novices, but there was no disgrace for Bunk Off Early in finishing a very close second in the Deloitte Novice Hurdle to Bacardys (3/1 2nd fav for Neptune) over 2m 2f at Leopardstown. He was just outstayed on the day and Willie Mullins has suggested that the shorter trip of the Supreme would definitely suit. The fact that Ruby Walsh has chosen Melon pours a bit of cold water onto Bunk Off Early but you can still grab an each way price of 11/2. You need plenty of speed to win a Supreme and by the sprinter Zebedee Bunk Off Early definitely has that. But it was beaten over 2m 2f at Leopardstown which is a relatively flat track which puts a doubt in my mind about Bunk Off Early storming up the Cheltenham Hill to win, especially when there are other horses who are guaranteed to stay the trip. This is a horse who’s a very strong traveller and jumps brilliantly. It was sent off 13/8 fav on it’s seasonal debut at Cheltenham back in October and based on that run you wouldn’t give the horse any chance of winning a Supreme. I think it deserves the benefit of the doubt being it’s first run of the season. Since then it’s won 3 times over hurdles, including an impressive win in the Grade 2 Dovecote Novices’ Hurdle beating Elgin, Peter The Mayo Man and Capitaine. He’s up to 144 for that win so improvement will be needed to win this race but there can be a strong case made for Nicky Henderson’s horse. The Seven Barrows trainer has an excellent record in this race with 9 of his runners getting a place in the last 10 years. If the ground remains good to soft it will be straight up River Wylde’s street. Trainer Ben Pauling feels High Bridge has strong claims to grab a place in this race (currently 16/1) and it’s clear to understand why when his runner has plenty of speed and stays well which will be crucial. One big negative is that jockey Alex Ferguson will not be able to claim his usual 7lb. 3/3 over hurdles this season he finished 4 lengths behind Ballyandy in the Champion Bumper last year. He’s sure to run his race and is not without a chance of grabbing place money in what looks a very open Supreme Novices' Hurdle. This year’s Supreme is a very open race and tough to call. There are question marks over all the runners, is Melon going to be a good as everyone thinks? Will Ballyandy have the pace? Will Bunk Off Early get up the hill? With those doubts in my mind I will be placing an each way bet on River Wylde (currently 13/2) who hasn’t put a foot wrong since switching to hurdles. If Melon is as good as Willie Mullins and the BHA think he is then he’s going to be a tough nut to crack. But at a price of 11/4 and a lack of experience over hurdles on the racecourse I’d rather take the 13/2 each way on River Wylde. He jumps like a dream and has proven himself against good opposition.